HTC promises big things for 2015, with plenty of exciting tech already lined up to storm the halls of CES next week. Last year was a successful year for HTC with a roster of surprisingly awesome devices being released, including the GoPro-rivalling HTC Re camera and the powerhouse flagship HTC One M8 (2014 T3 Gadget Awards' phone of the year). It looks like the Taiwanese firm isn't going to slow down this year either, with tons of exciting tech promised for 2015. That's according to HTC's Senior Global Online Communications Manager Jeff Gordon who vented his excitement on social media. “I'm overwhelmingly excited for #TeamHTC in 2015! I can't wait to show you what we've been working on,” Gordon announced via his official Twitter feed. We'll get a good idea what's in store this year at the Consumer Electronics Show, which kicks off next week. All the biggest names in tech will parade their products on the international stage, with HTC poised to release a new series of Desire handsets. 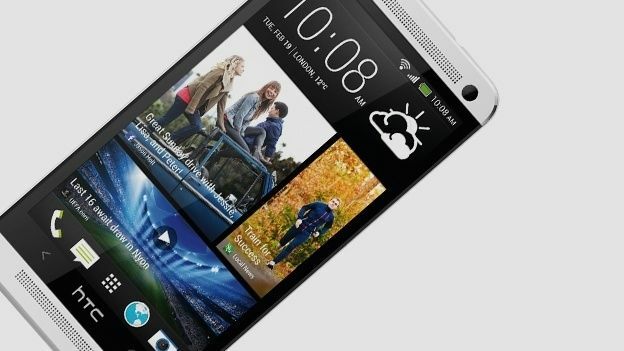 What many will be waiting for though is the HTC Hima, believed to be the successor to the HTC One M8. According to broadly-tipped specs, the upcoming flagship will pack a 64-bit Snapdragon 810 processor, a 20.7-megapixel rear and 13-megapixel front-facing camera.